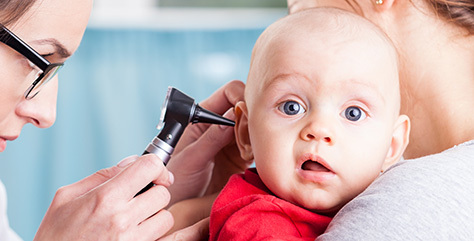 At East Suburban Pediatrics, our entire team is committed to providing the highest quality healthcare for your child. As a part of this, we ask that every family have a clear understanding of our policies and procedures. This allows you to know and understand what actions our staff will be taking on your behalf as well as what your responsibilities are. Please help us, and all of our patients, by being considerate and giving our office adequate notice if you need to cancel an appointment. This allows someone else who needs our service the opportunity to schedule. East Suburban Pediatrics requests a 24-hour notice for any appointment that you are unable to attend. However, we understand that this is not always possible. If you are unable to make your appointment, please call our office no later than 7:30 AM on the day of your visit. If you are calling after hours, please leave a message on our answering machine. A $25 fee will be charged in the event that the appointment was not cancelled prior to 7:30 AM on the day of the visit. Patients who repeatedly miss or come late to their appointments may be asked to find another provider. If you are running late for your appointment, please call the office so we can advise you how we will need to handle the appointment. If you arrive more than 20 minutes late for your scheduled appointment, we may have to reschedule for a different time. Well child visits up to 18 years of age require a parent or guardian in attendance. Children 16 years and older may come alone for sick visits with a parent’s permission documented on our office form. Forms will be completed at your child’s well visit at no cost. There is a $5 fee for any form that needs to be completed outside of the well child visit. Payment for the form must be made when the form completion is requested. There is a 5-day turnaround time for forms not presented at the time of the well child visit. A $10 fee will be charged for a form that needs to be completed on the same day as the request is made. East Suburban Pediatrics is committed to protecting your health information through the Health Insurance Portability and Accountability Act of 1996 (HIPAA). HIPAA requires us to inform you of our privacy practices, our legal duties, and your rights concerning your protected health information. The East Suburban Pediatrics HIPAA Policy explains how medical information about you may be used and disclosed and how you can get access to this information. If you have any questions about the information, just give us a call in the office. East Suburban Pediatrics strongly believes that proper immunization is essential to the well being of our children. We strictly follow the recommendations of the American Academy of Pediatrics. We strive to provide the best possible care for all of our patients and ask that those parents who do no wish to follow the AAP recommendations contact us in advance of their visit to discuss their concerns. Please see our Vaccine Policy Statement for more information.